Do you want to monitor your system hardware? Well, check this list of the best hardware monitoring software that you can download for free. When you use a computer the first time, everything is perfect and more if you have powerful hardware. However, as time goes by, you keep saving more and more things and installing all kinds of apps, you usually notice how your computer becomes slower or lazy. Undoubtedly, something quite familiar especially in computers with Windows operating system. This behavior can be due to many and very different causes, however, most users always try to remove temporary files, uninstall apps that don’t use, defragment the disk or even format it to improve the performance of the system. But it is likely that the performance of your PC has to do with the hardware that composes it. Therefore, it is highly recommended to have a hardware monitoring tool on the computer capable of monitoring the performance of the system to detect any problem that may affect the overall performance of the team. The truth is that the Windows Task Manager itself can help you at first, but there are other important aspects that the tool doesn’t show you and hence you have to rely on third-party apps. Next, I’m going to show some of the best hardware monitoring software with which you will be able to monitor the performance and resources commonly used of the system. There are many hardware monitoring software to monitor various components in particular, whether CPU, RAM or GPU, but I present Rainmeter as software that monitors your hardware from the desktop. Rainmeter is a free open source program for Windows that allows its customization through masks or skins. Masks or skins can come as desktop gadgets or widgets so that within the entire repository there is an overwhelming amount of variety. 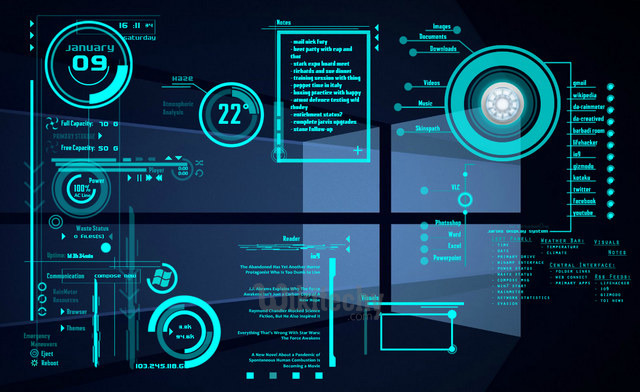 You must be clear that Rainmeter isn’t a program to change the appearance of Windows or the administration of windows, nor does it replace other apps, it merely shows you real-time information of your PC, whether temperatures, HDD capacities, etc. That said, to start using it you must download the hardware monitoring software from its official website and install it in your system. There is no third-party software, no configuration that should not be installed or anything strange. The first time you install it, we will open it on the top right with its standard configuration next to its icon in the taskbar, bottom right next to the time. To start with the masks you first enter Deviant Art to be able to see the one that you like the most and once selected and downloaded, and it is only necessary to install it. I have already spoken to you on previous occasions of the importance of keeping your PC optimized, you have even seen several tools that deal with the cleaning and optimization of the PC so that its operation remains fluid and stable. This time I want to refer to a no less important aspect, monitor your system hardware to make sure that everything works correctly and thus avoid future problems and breakdowns. That’s why I present a completely free software that deals with this work, monitor the PC hardware. You can use it to check the status and operation of the CPU, graphics card, use of the network, memory loading, network use, and other sections. The name of this hardware monitoring software is CAM, and it is undoubtedly a tool to take into account to monitor the hardware and verify that your PC is working correctly at all times. CAM is a very complete and powerful tool to monitor the hardware, despite being completely free, which offers us a series of essential functionalities. Although for many it will be a great unknown, this hardware monitoring software is incorporated on windows since version 7. To launch this app, type the Perfmon.exe command in the Cortana box or the Windows Run window. 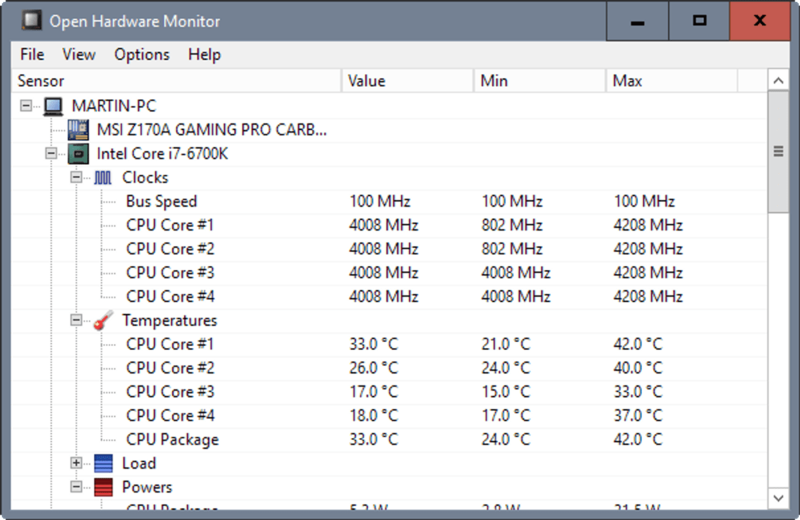 Once the Performance Monitor is open, you can start the analysis of the current results of your PC by clicking on the Performance Monitor option. By default, you will see that it will show the time that the processor is busy with active programs. However, you can add many other options to perform a more in-depth analysis by pressing the “+” button that is shown at the top. AgaueEye is a hardware monitoring software that you should use if your thing is to make the most of your computer because you might need to know the state of the hardware so as not to spoil it. It is a beneficial software to monitor your system hardware with which you can read graphs that show the use of the GPU and processor. Besides, you will have information in real time of the processor’s load and temperature, video cards; also data on used and free RAM space. 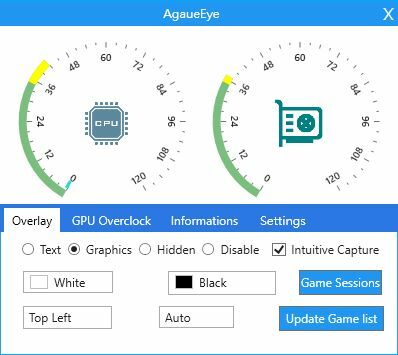 The information you will find in AgaueEye is so detailed that it includes data on the pixel index and texture of the graphics card. That is why it is specially designed for those curious, who also can understand everything related to the operation of the fundamental components of a computer, such as RAM, processor, video cards, monitor, among others. It doesn’t matter if you are playing; you can consult AgaueEye while doing so and monitor the use of the system to ensure its operation. This tool superimposes that information in the games, so you don’t need to leave your games while you see the data. The interface of that information can be customized so that it is the least annoying possible, but at any time you can hide it. There are more than 3600 games compatible with that AgaueEye overlay. Knowing this, if you are interested in knowing everything about your system, especially to see if you have been loading your computer with each game executed, then don’t hesitate to download AgaueEye. 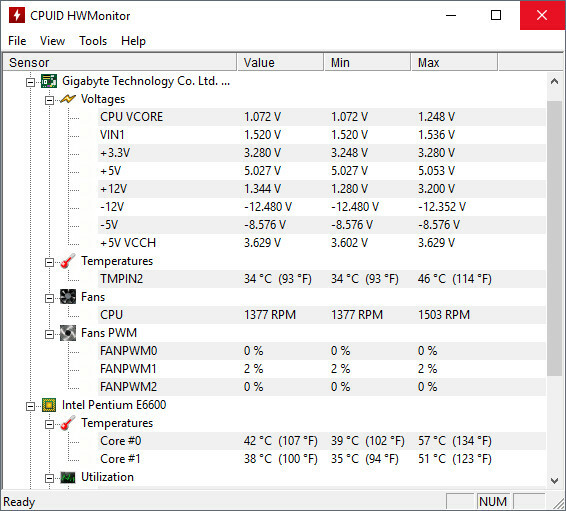 HWMonitor is a hardware monitoring software that allows controlling the temperature, utilization, voltage and power consumption of the CPU, the voltages to which the motherboard is subjected, temperatures and fan speeds, as well as the voltage, temperature and use of the GPU and the temperature of the hard disk. A complete tool that has a straightforward interface to understand and manage and which is very useful to perform this series of checks that are so important to maintain and extend the useful life of our computer hardware and maintain optimal performance. Piriform, the developers of the controversial CCleaner software, also has other software that is very simple, at the same time tremendously powerful. I talk, of course, about Speccy. And with this hardware monitoring software from this developer, you can get a perfect idea of ​​the hardware that you have installed on your computer. At the same time to check their temperatures and the main characteristics of this one. 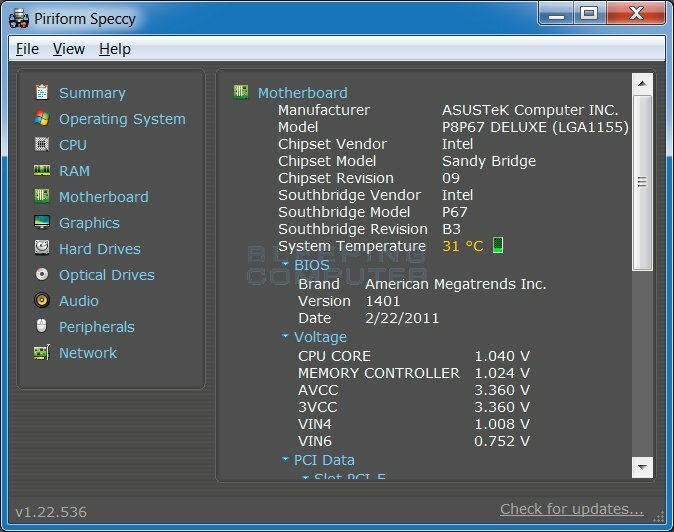 Speccy is software to monitor your hardware that isn’t as well known in the hardware world as there are other alternatives, such as AIDA64, HWinfo, HWMonitor and similar. And the reality is that, as you will see, you don’t have much to envy to these last two programs. Of course, it doesn’t present as exhaustive information as the AIDA64 can provide. Nor does it give the information of all the temperature sensors, as do the HWMonitor and the HWinfo. 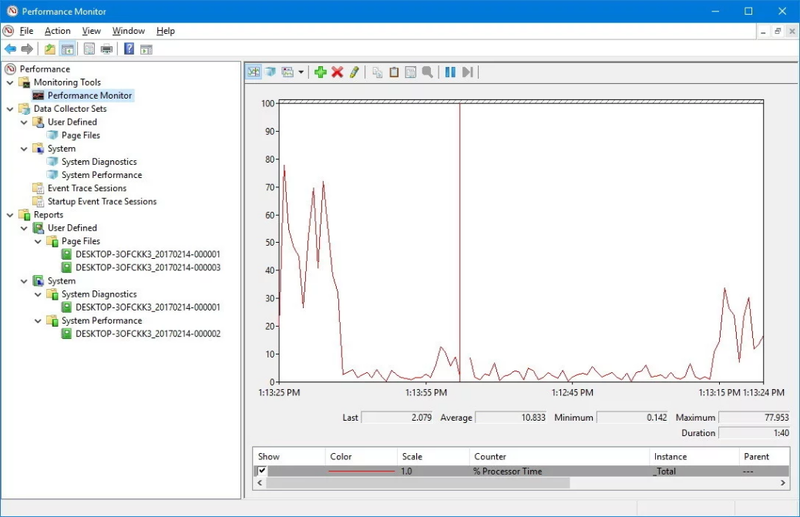 Another hardware monitoring software designed to collect and present to the user the maximum amount of information possible about the hardware of your computer. HWInfo offers real-time monitoring of the system of all the components to help to know the current state of the computer and the prediction of possible failures. It has a highly customizable user interface and allows multiple reports to be produced. 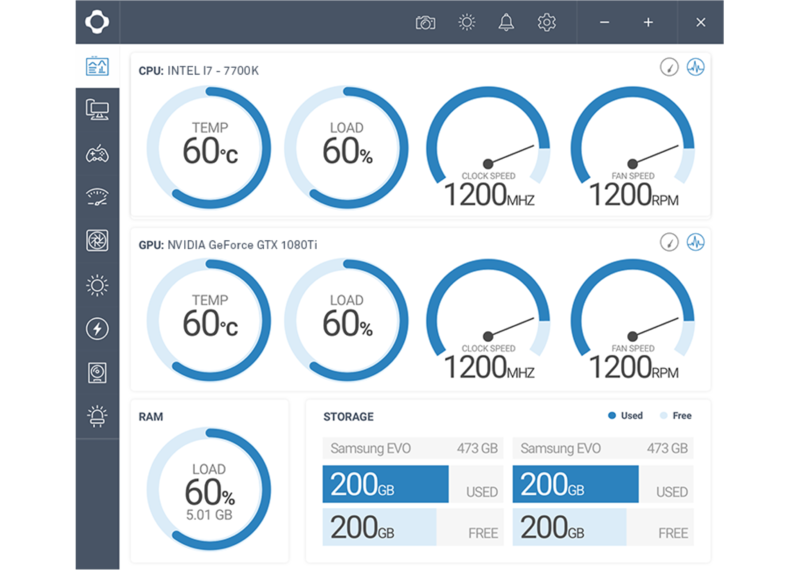 It’s another beautiful hardware monitoring software that allows you to control or monitor temperature sensors, fan speed, load voltages and clock speeds of a computer’s processor cores. Besides, it performs the reading of the temperature sensors of the graphics card, the hard disk, etc. 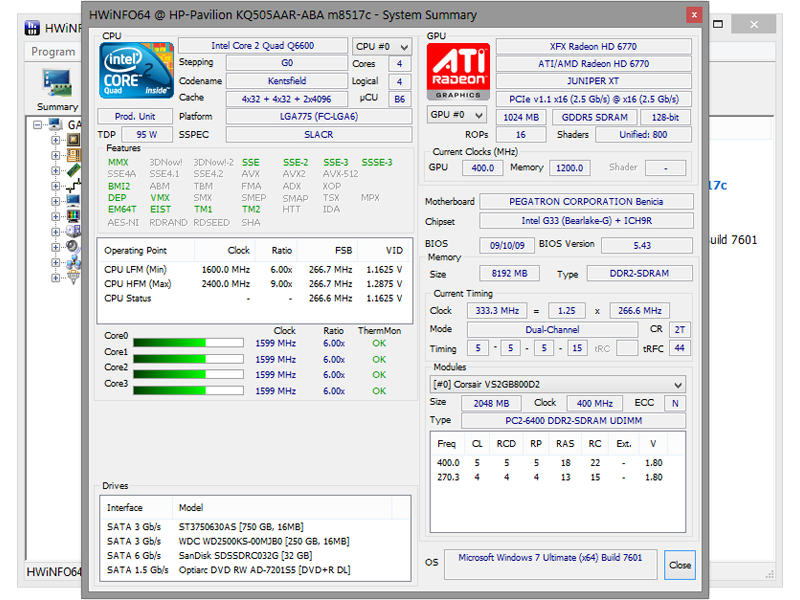 This is one of the complete tools to perform this type of monitoring of the status, speeds, and temperatures supported by the essential hardware components of your computer. It can be installed on the PC completely free of charge, and it has two versions, one for 32-bit systems and one for 64-bit systems. So far those were the best software to monitor the hardware that you can download for free to control anything that happens on your computer hardware. This kind of software can be useful if you use heavy software like video editing software or if you are a gamer that needs the best performance available. Do you use other software? Let me know in the comments section to add it to the list.